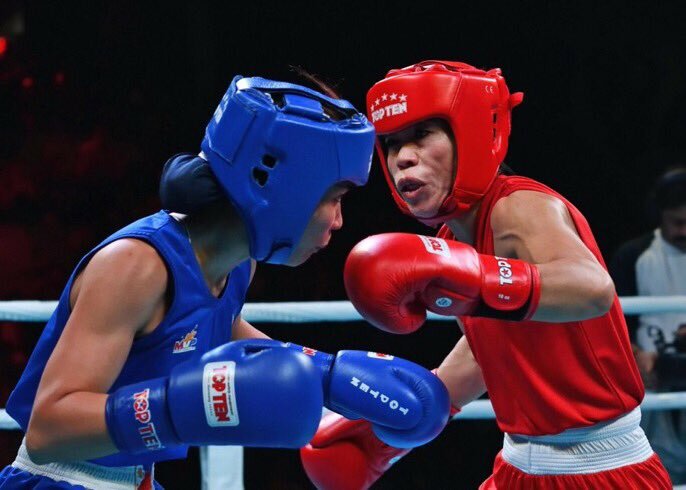 Mary Kom won against Filipino Josie Gabuco 4-1 en route to her gold in the 48kg class among women. Pwilao Basumatary (64kg) was the first among the women to fetch a gold. The former World and Asian bronze medallist claimed a 3-2 win over Thailand’s Sudaporn Seesondee. The Assamese boxer is a regular in the national camp and had claimed a gold medal at the 2015 Nation’s Cup in Serbia. She hails from a small village in Kokrajhar where several families were displaced during the 2012 riots. Her family was among those displaced by the violence but has since moved on. Another Assam boxer, Lovlina Borgohain claimed the welterweight (69kg) gold among women, getting the better of compatriot Pooja. L Sarita Devi (60kg) settled for a silver medal after losing to Finland’s Olympic bronze-medallist Mira Potkenon. Sarita gave her all in the bout but lost on a 2-3 decision after Potkenon salvaged a rather rusty performance with a final-round flourish. In the men’s draw, Sanjeet (91kg) picked up India’s first gold of the day when he upstaged Uzbekistan’s Sanjar Tursunov. The Indian matched Tursunov punch for punch in an engrossing contest before getting a split 3-2 verdict in his favour. 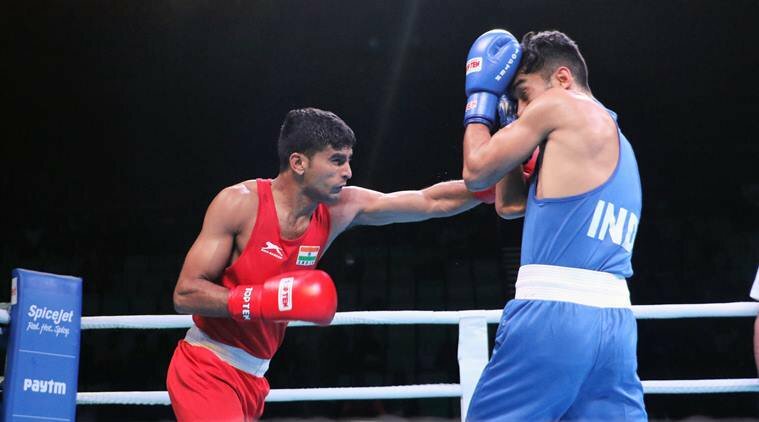 National champion Manish Kaushik (60kg), who stunned the world and Asian medallist Shiva Thapa yesterday, didn’t have to step into the ring to collect his gold. Manish was given a walkover by his Mongolian rival Battumur Misheelt, who pulled out owing to a cut sustained on his forehead during his semifinal bout. Asian Games bronze-medallist Satish Kumar (+91kg), however, settled for a silver, outwitted by Uzbekistan’s Bakhodir Jalolov in a split 4-1 decision. Dinesh Dagar took the welterweight (69kg) silver after going down to Uzbekistan’s Bobo-Usmon Baturov. In perhaps the most entertaining bout of the day, the Uzbek turned on the style against the gritty Indian. With a smile on his face throughout and a mostly non-existent guard, Baturov was every bit a showman as he craftily got the better of Dinesh in a unanimous verdict. To his credit, Dinesh connected a few lusty jabs of his own but Baturov was never really troubled. Later, Devanshu Jaiswal (81kg) was up against Cuba’s David Gutierrez. Although the crowd favourite gave a good account of himself in defensive tactics, the Cuban connected enough with his jabs to score a split 4-1 victory. Former world silver medallist Saweety Boora (75kg) also had to be content with a second-place finish against Cameroon’s Essaine Clotilde.